SCHEDULE CHANGE NOTICE: Starting this week we will no longer have a 3 pm class. We will also be closed on Saturday as the majority of the coaching staff will be attending the South West Regional event in Colorado. What is your day job? I am a full-time student right now and am getting ready to go down to Zion’s Ponderosa resort to work as a recreation guide over the summer. How were you introduced to CrossFit? Around the kitchen table, when my brothers Jerry, Phillip and Ricky and my sister-in-law Stephanie all joined. They made it sound fun and painful, so once school was over I finally went with my brother and got addicted. 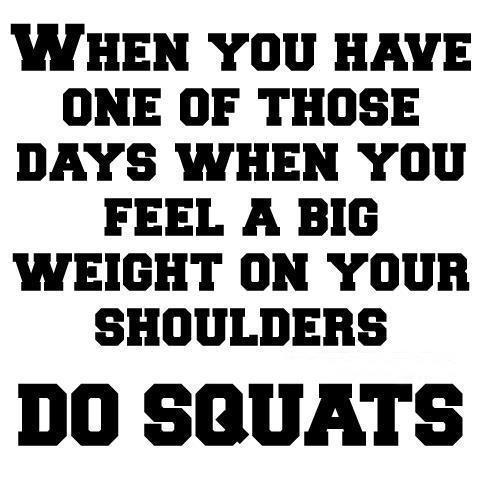 What is your favorite WOD or Lift? 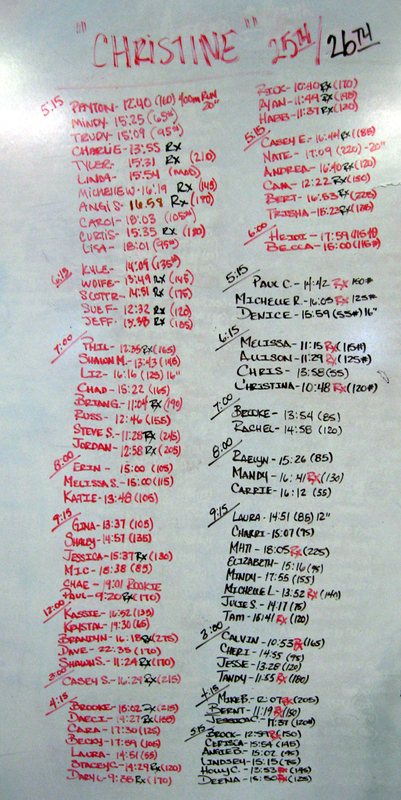 My favorite WOD is the one we are doing tomorrow… another chance to tear up my hands and get stronger. Deadlifts are my favorite lift, I always feel like @!#% after those things! What is your favorite skill/movement that you have learned at CrossFit IoTA? Double unders and barbell work because it always makes me sore and I love that feeling. How has CrossFit changed your life? Crossfit has changed my life a lot! My hands and arms will never be the same but will always carry the calluses from the bar and welts from my jump rope:) Crossfit helped me become a stronger runner and helped me realize I will never say never or quit again. Before I did crossfit I swore I would never swim, bike, do a pull-up and a million other things because I was afraid I couldn’t do them. Now I see everything as a challenge and an opportunity to get stronger if I put in the work. 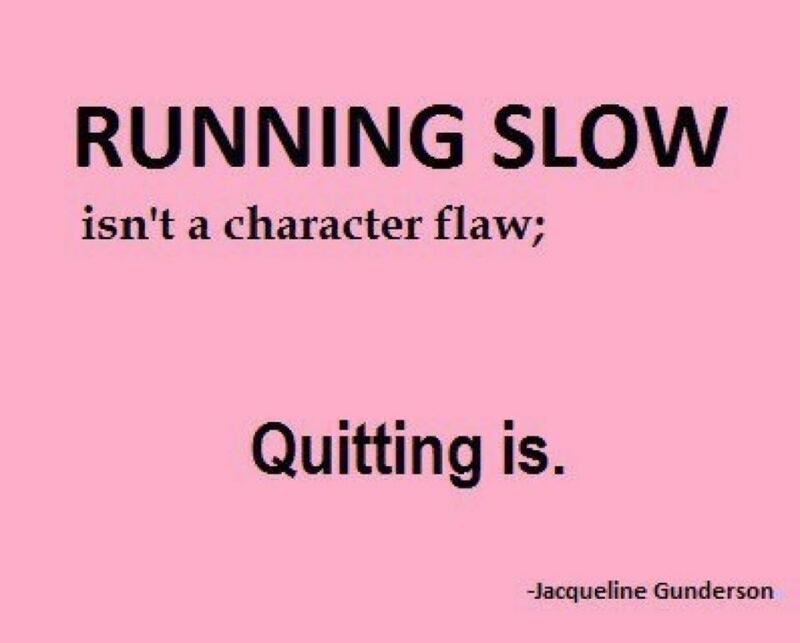 What keeps you motivated and coming back for more? I keep coming back because crossfit is hard! 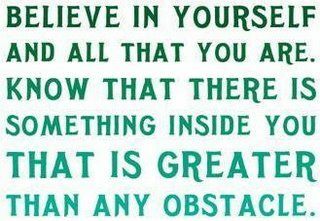 I look at a WOD and I get nervous and wonder ‘how am I going to do this?’ But then I go and do it! Even if I have to scale it, the feeling of accomplishment after a WOD it is priceless! And I love that the people there have my back every time I step foot in the box. What’s something you know now that you wish someone would have said to you when you started CrossFit? Going to crossfit doesn’t justify those cookies. Three things you would always find in my fridge… Broccoli, Hummas and tortilla experiments (one day I will find a healthy cookie that tastes delicious! ), find new running trails, go dancing, play with my family and friends, and find new adventures. I’m pretty much up for anything. My secret ambition is to be a mermaid. Song(s) that gets me pumped up for a workout… Angry girl music, I love when someone breaks up with a famous person because awesome music is always the result! Case in point Kelly Clarkson’s new album. My six month goal is… To get fast enough to beat Ricky at running, just once! My favorite workout partner(s)… Everyone at the 4/5/6 pm classes! they are all so fun and push me to do better, go faster or lift more because I can’t be looking like weakling. Here are a few pic from the weekend that was…from color runs, to tri’s to 5k’s, it sounds like a ton of you got out and did some great work this weekend. If you’ve got more pics or great stories from the weekend, be sure and send them our way. 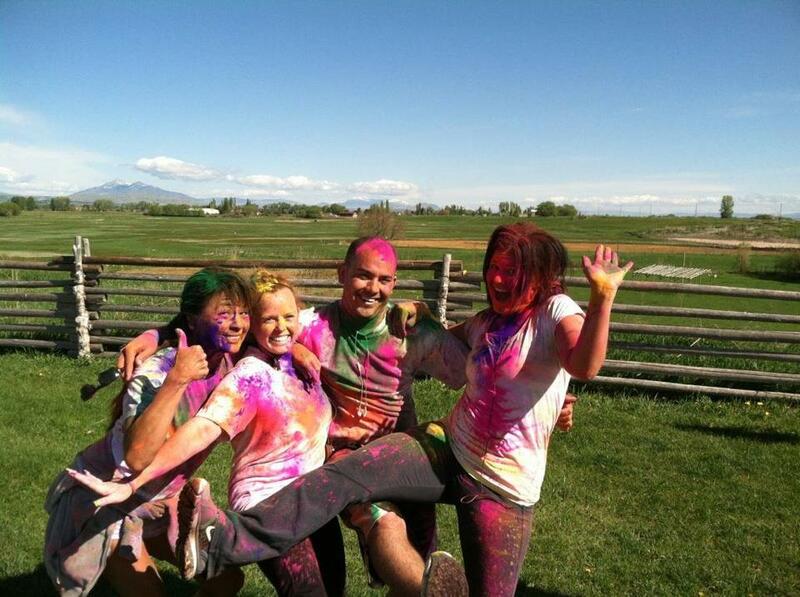 Chris Marquez and Heidi Benson jumped into a color run with a few friends. 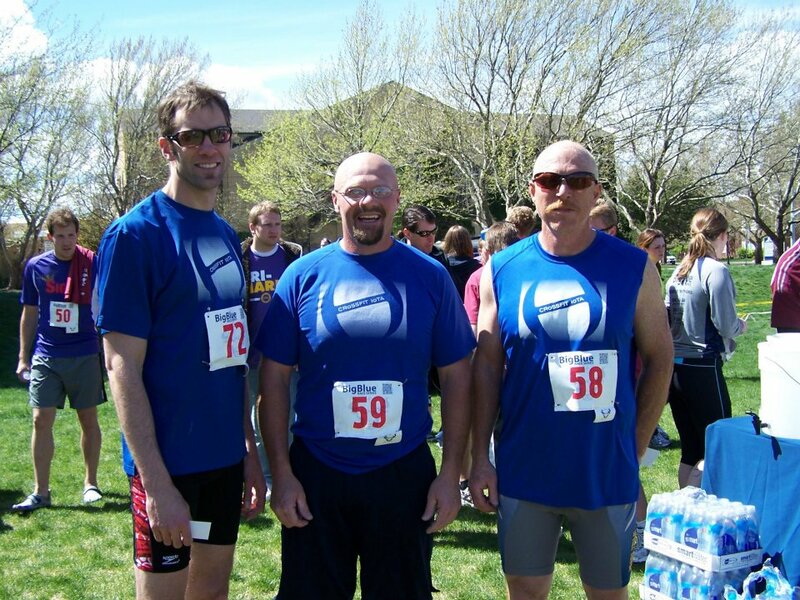 Paul, Mike and John went and took part in the Balanced Man Triathlon up on Campus this morning. A TON-o-FUN to be sure. Find results from the Balanced Man Triathlon HERE and more photos can be found HERE. 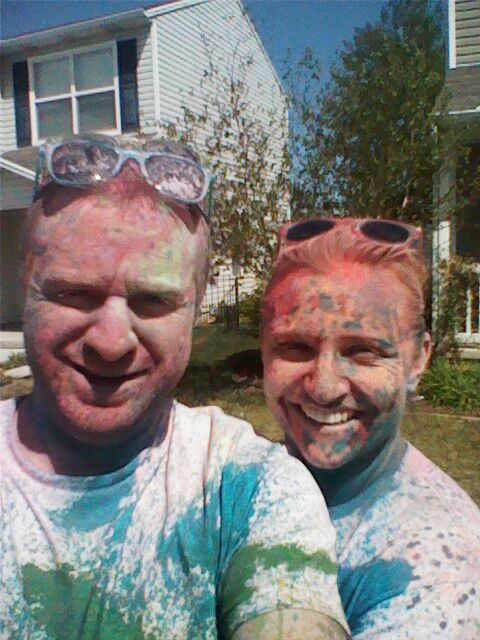 Shawn and Mindy also took part in a color run with their family in SLC, followed by a weekend of helping a family member move...hopefully there wasn't a piano and they didn't have to move out "for time"! BALANCED MAN TRI – 75% OF PROCEEDS GO TOWARD BEST BUDDIES!!! Sign up now on line @ http://www.bmtriathlon.org/ or in person @ the HPER Service desk. Find more event info here. 5k – CAPSA Run From Violence begins at the Logan Aquatic Center and takes you on the scenic and relaxing Logan River Trail. All proceeds from this race directly benefit local victims and survivors of domestic violence and sexual assault. Come support these brave individuals! Find more info here. CRAPPY Cancer Fundraiser – in the afternnon – Many of our members know Travis and his story of battling cancer (you can read his story here). This Saturday a fun run to benefit travis has been organized at Mac Park in Smithfield. Family Passes are $25 per immediate family and Individual Passes are $5 per person. There will also be a pulled pork and corn dog dinner from 5-7pm as well. We have a special gift for any members of CrossFit IoTA who register their families. Look forward to seeing you there. Not to mention we will have a WOD for everyone at 7:30 am. Hope to see you and and about tomorrow sporting your blue race jerseys!! Happy Birthday Charlie Cellan & Mandy Gibbons. So yesterday you got to choose your WOD. Yesterdays choice determined what you will do tomorrow. A lesson that your mother would be so proud that you have learned. With the first round of regionals kicking off this weekend many may be interested in following how things go. Our region is next weekend, so these are just other regions, but it will still be fun to watch. There is an article HERE that will give you the lowdown on how to stay up on the latest and greatest from regionals.